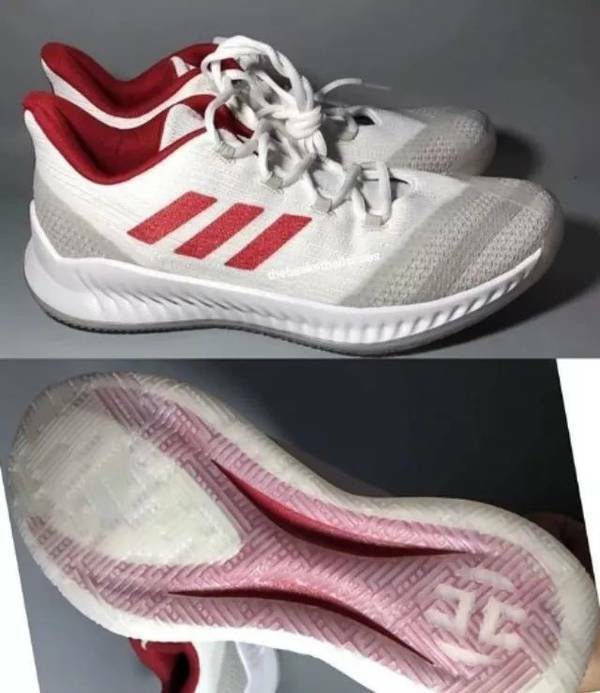 James Harden has a new signature shoe releasing later this summer, headed to Asian markets first featuring Bounce cushioning with a $125 overseas exclusive, so what is look like ? what the performance ? We will check today . The Harden B/E 2 features a circular knit upper atop a Bounce midsole (the same cushioning used on the original). 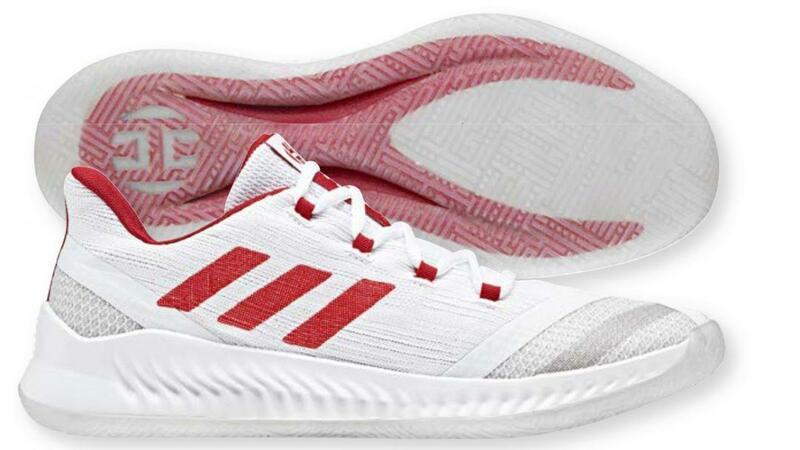 This Footwear White/Power Red colorway uses a translucent outsole with a new traction pattern for multi-directional coverage. Is it will be stunning for this summer? For the material: The whole pair of shoes is very smoothly and lightweight . thanks entirely to the hot-melt technology and the latest vamp knitting upper. 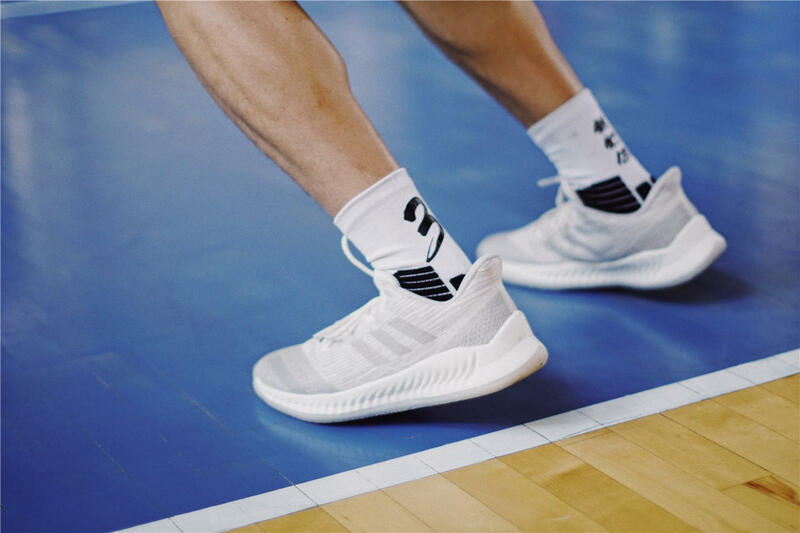 In order to enhance the protection of toe ends, Harden b/e 2 used a dense plastic network.The part of toe protection is covered the part of the net cable .It was followed the last model . Most of part was used knitted material which the most popular fabric weaving method at present. 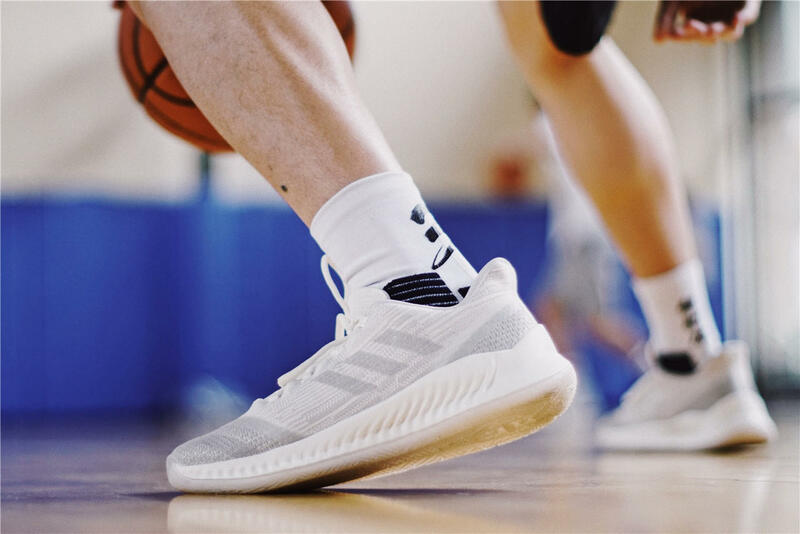 And the most important that it has better stretchability.The half of boost fits just have 4 shoelace holes, which makes the harden b/e 2 vamp seem simpler and easily . 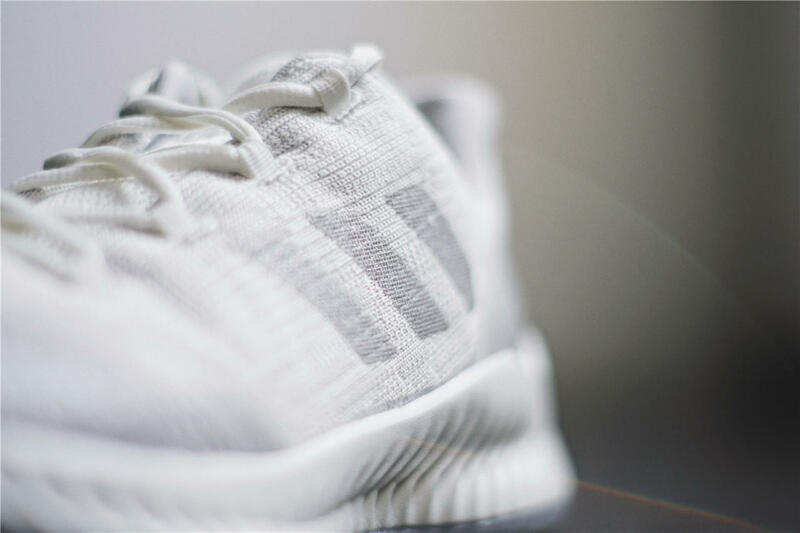 Compare with the Layers upon layers which used in the Harden B/E , the Harden B/E 2 will be soft and comfortable . For me . I like this kind of material very much . For the supporting : it is just so so for the supporting , most supporting from the material ,but the knit upper of Harden B/E 2 , it is soft and comfortable .Then it has been not the material of any outrigger or any extras, so the supporting is really not good .if you need the strong supporting , it is not the best option for you . For the traction : a translucent outsole with a new traction pattern for multi-directional coverage. The grip is nice , but you should played inside of court . if you play outside , it will be worn quickly .Also it will be easy to collect the dusty.If dust got in the way I quickly wiped it away and forgot all about it until it happened again. Which, again, rarely happened. 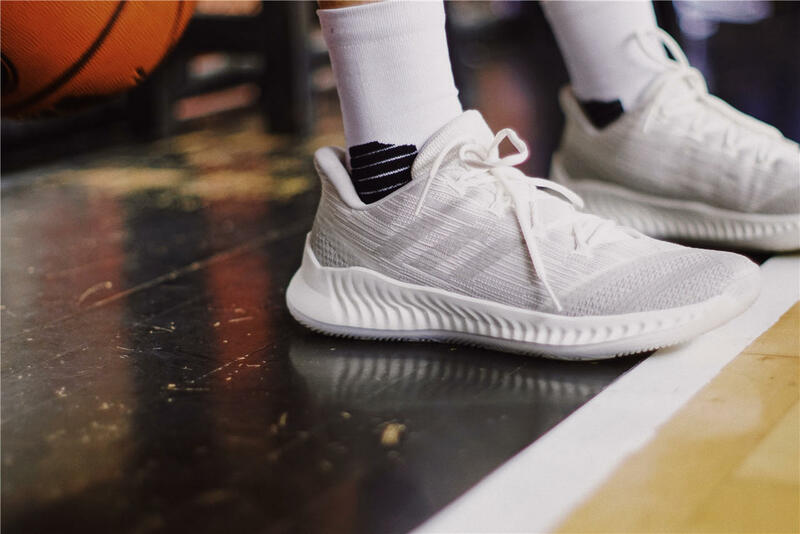 For the cushioning : a Bounce midsole used in the Harden B/E 2 , that is the great news .Bounce is good enough that it can sit lower to the floor without making you feel like you’re playing in a super firm cushion. 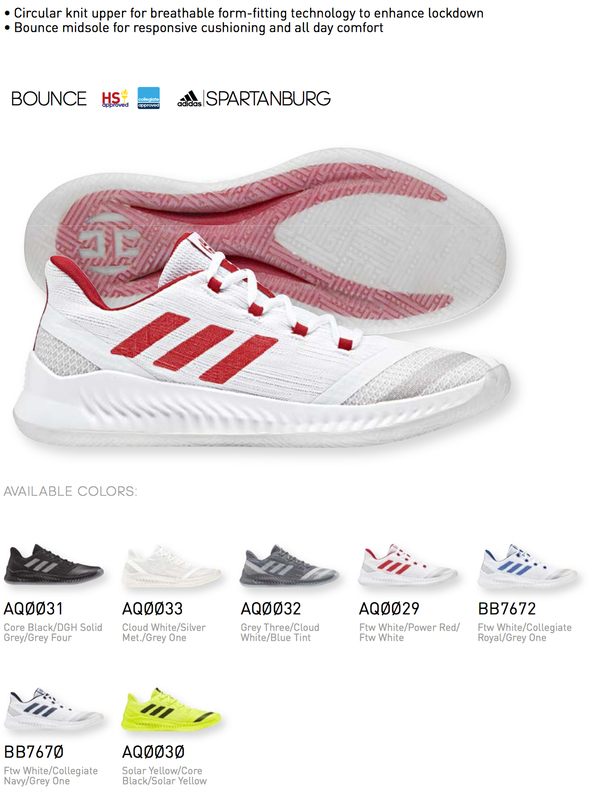 I feel B/E seems like the Dame 4 , the bounce is responsive , also it is a good shoe to running . The midsole is amazing when you running . Here we tested in different way and different angle . The bounce actually is amazing ,and it is comfortable . Overall, there are will me more coloways for available , then the nice midsole with great bounce ,and the material is nice ,so will you interested in ?